After another round of horrific loses, last night, members of the Republican State Central Committee gathered to access their poor showing at the polls...and behind closed doors (meeting was closed to the press), Danbury's longest running dishonest part-time mayor gave a strong indication that he'll run for governor again in 2018. The Hartford Courant's Daniela Altimari has the details. Members of the Republican State Central Committee met Wednesday night in Manchester to review the 2014 election and discuss the party's future. The meeting was closed to the press but one person in the room said "multiple" members of the state central committee lavished praise on Danbury Mayor Mark Boughton, a potential 2018 gubernatorial candidate. In addition to looking back, party members also looked ahead. Boughton was lauded repeatedly, with several members apologizing to him for their lack of support, according to the source, who asked not to be identified. 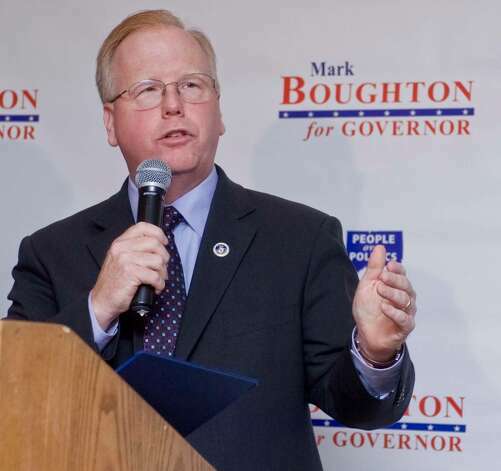 Boughton has said he may run for governor in four years. Critics of the mayor have repeatedly stated that Boughton is more interested in using his title as Mayor to promote his bid for Governor...and seems like they might have a point. Food for thought as we approach next year's municipal election season.